Equestrian’s Standard™ 2016 Now Available! PedFast Technologies™ proudly announces the release of Equestrian's Standard 2016. This outstanding product brings to the horse enthusiast the same power, ease of use and quality that dog and cat fanciers and breeders have enjoyed with our other products, The Breeder's Standard and The Cattery's Standard. Equestrian's Standard 2016 is a Microsoft® Windows(tm) based program with unparalleled features for the horse lover. Based on our market-leading packages, it offers a tried-and-true platform, plus all of the features you need. Equestrian's Standard 2016 offers complete tracking of shots, wormings, vet visits, farrier, feed, you name it. If our built-in health types do not meet your needs, no problem, you can add your own instantly. If you need an automatic reminder of an upcoming shot, appointment, or other event, the program has an automatic reminder capability included. We track all information about matings, foals, and financial transactions of all kinds. As with our health records section, if the transaction you desire is not present, you can easily add it. All transaction records have a liberal comment field. We track popular forms of competition, and we have a dated training log which can be viewed on-screen and also printed. No more fudging through cryptic hand-written notes! Equestrian's Standard 2000 meets your needs from the beginning. You can enter five generations of ancestry from one window using our proprietary PedFast™ V feature. Other programs can take as many as 64 screens! We print a five-generation pedigree, with font selection, titles control, and pictures of the horse and ancestors. Even more power is offered with our celebrated add-ons, the Pedigree Power Packs™. Exchange pedigree history with friends using our BXF(tm) import and export capability, which will smart-merge others' files with your own, keeping your information safe and intact. Equestrian's Standard 2016 exports your financial data in a tabbed-delimited format acceptable to Intuit's QuickBooks, DacEasy Accounting and other accounting packages. Now you can track your expenses professionally and properly, and put the information into your own accounting software. Equestrian's Standard 2016 (tm) offers genetic information of a different flavor. Of course, we offer a detailed Wright’s Inbreeding Coefficient, and a Coefficient of Relationship, calculated with the same precision that our Dog and Cat customers enjoy. That's just one benefit. We also offer our proprietary Crystal Ball™ See the impact of ancestors on a pedigree with our inbreeding percentages report. See a pedigree for a planned mating with the Hypothetical Pedigree function. The next generation of genetics is here now. Beautiful pedigrees with pictures, color, selectable fonts and typeset quality. Crystal Ball (tm) Genetic Analysis Module -- Inbreeding Percentages, Hypothetical Pedigree, and our own Trait Analysis report! Ownership, matings, foals and disposition, and foal daily record-keeping. Upgrades from the older TES Version only $59.99. To order our program, click here. To try out the program for a free 14-day trial,click here. 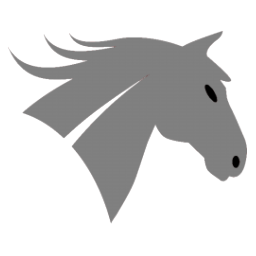 PedFast Technologies™ is more than proud to offer the Ultimate Software for Horse Breeders(tm). And it is, Simply, the Finest Horseman's Software. Ever.